Explanation: It's still there. The optical counterpart to the instantly famous gamma-ray burst (GRB) that occurred last February 28th has faded - but not completely. The astronomical community had waited patiently for months for the Earth to proceed far enough along in its orbit so that the Sun's glare no longer ruined inspection of the location of this historic flash. The above picture of GRB 970228, taken September 5th and released just yesterday, shows an extended structure in the center that hasn't changed. However, the arrow indicates a point on the upper right that is now five times dimmer than in preceding months. 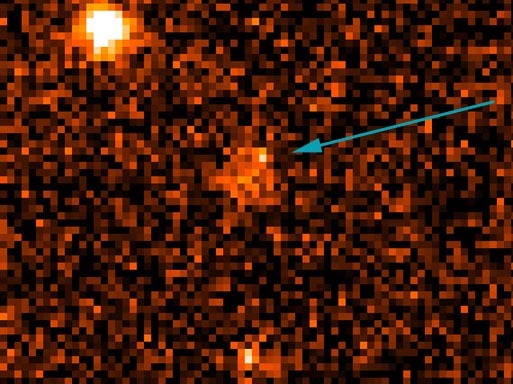 This fading point fits a model where the GRB originated in a fireball across the universe. 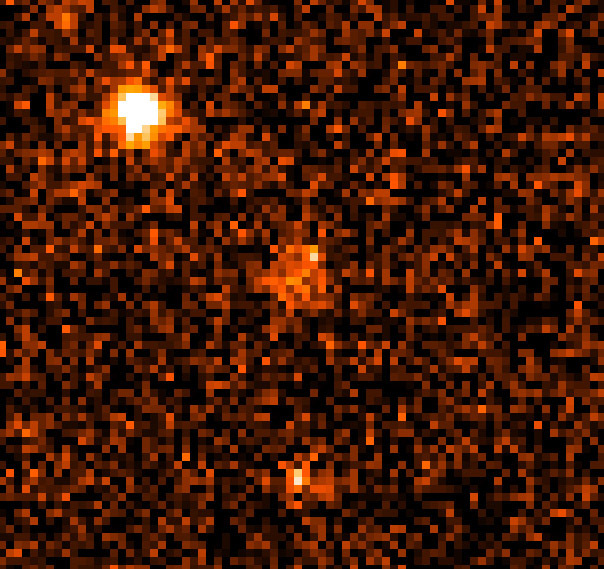 The constant brightness of the extended feature indicates that it is not reflected emission from the GRB and might be the host galaxy. Even so, the great GRB mystery is not yet over: for one thing, how come other GRBs don't appear to occur in galactic hosts?